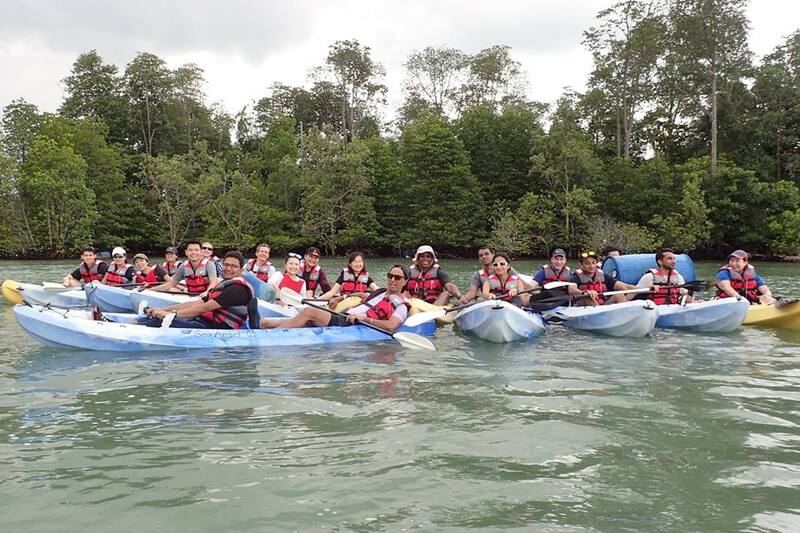 The Big Event for RUM was Ubin Day! 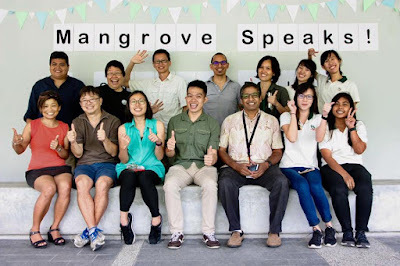 Here's all about the booth, walks, mangrove skit and MORE fun we had that day. In addition, RUMblers were also hard at work cleaning up the mangroves. After the July effort, Lisa said "Together we cleared up 91kg of marine debris from the shore off Kg Durian. 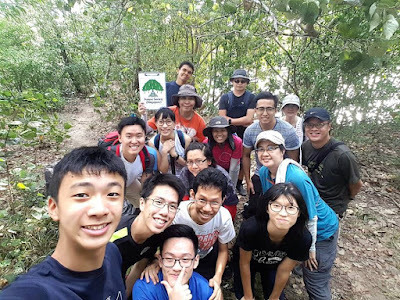 16 volunteers sweat out 1.5 hours and collected 78kg of mostly plastic trash and styrofoam pieces and also 13kg of abandoned (entangled around the mangroves roots)." Mangrove clean up in July! More photos of the July clean up thanks to Liz Lim. Lisa and volunteers were back to clean up again in August! 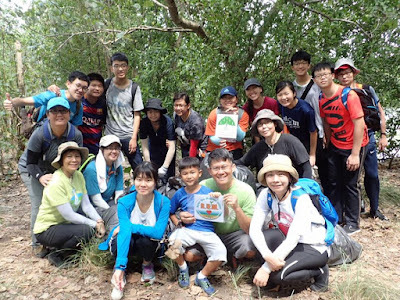 Thank you to all the volunteers led by Lisa Lim for cleaning up the mangroves at a site designated for restoration by R.U.M.! Mangrove clean up in August! 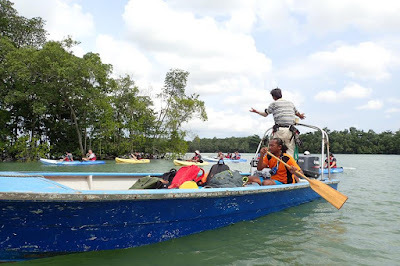 The Sea Angel volunteers hosted a visit organised by Conservation International. 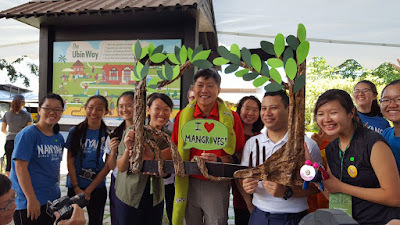 They took the opportunity to share about the Restore Ubin Mangrove (R.U.M.) Initiative. Phillip Lim shares about R.U.M. at Living Fisher Village. The participants then visited R.U.M. Site 2 by kayak! 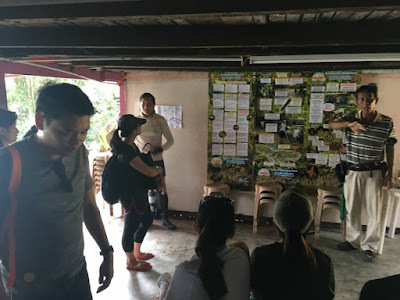 Phillip Lim shares about mangroves during the kayak tour. The participants had a great time! Exciting R.U.M. happenings in store in September! Look out for them on this blog and our facebook group.